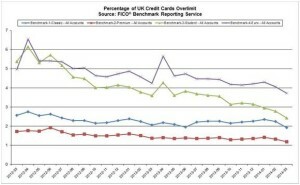 FICO (NYSE:FICO), a leading predictive analytics and decision management software company, released data showing that the number of UK cards with overlimit balances has hit the lowest point in more than two years. Data from the FICO® Benchmark Reporting Service show that the percentage of standard credit cards with overlimit balances has fallen from 2.6% in March 2012 to 1.9% in March 2014. The percentage of cards with overlimit balances also dropped for student, premium and Irish cards. The percentage of overlimit student cards fell the furthest, from 5.3% in March 2012 to just 2.4% in 2014 – a 55% drop. “Some of this change could be accounted for by the increase in average credit lines, which have risen over the last year by 4.6%,” said Stacey West, a Fair Isaac® Advisors business consultant who works with UK card issuers. 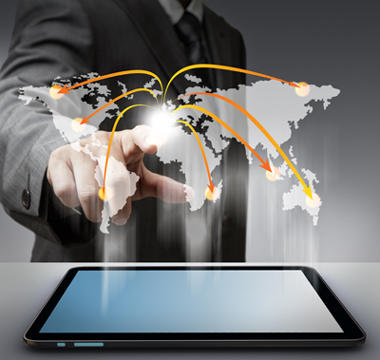 The reduction in overlimit accounts was observed among all vintages of card accounts. However, new accounts now make up a higher percentage of all overlimit accounts: 3.5% in March 2014, compared with 2.2% in March 2013, a rise of nearly 60%. “Our analysis also shows that the percentage of new accounts that are 30 or 60 days delinquent has increased,” West reported. “More accounts opened within the last year are going delinquent, although they have smaller balances.